Hollywood Darlings stars three fan favorite child stars of the '90s – Jodie Sweetin (Full House, Fuller House), Christine Lakin (Step By Step) and Beverley Mitchell (7th Heaven). The series follows three lifelong friends who grew up together in "the business," became household names, and now take on even bigger roles as moms, wives and businesswomen. Their social circles include other celebrities, who will make special appearances throughout the series. Jodie Sweetin (Jodie) is of course best known for her role as Stephanie Tanner on the hit ABC sitcom Full House from 1987-1995. She has reprised the role in the Netflix comedy Fuller House. Other appearances include a guest stint on Party of Five and appearing on the sitcom Valerie. 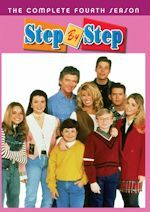 Christine Lakin (Christine) is of course best known for her role as Alicia "Al" Lambert on the 1990s ABC situation comedy Step by Step. She has appeared on many TV series such as a recurring role on Family Guy, Rita Rocks, Valentine, and guest shots on series like Melissa & Joey, Modern Family, Sons & Daughters, Rodney and more. Movie wise she has appeared in Mother's Day, New Year's Eve, Valentine's Day, You Again, Veronica Mars, Georgia Rule, The Game Plan and The Hottie and the Nottie. She had her own comedic webseries Lovin' Lakin, along with judging the internet series Internet Icon and developing her own stage show Worst Audition Ever. Beverley Mitchell (Beverley) is best known for her role as Lucy Camden-Kinkirk on the television series 7th Heaven. 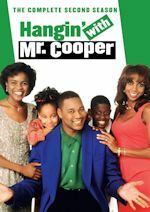 The series lasted a long eleven seasons from 1996-2007. After that series she was a regular on The Secret Life of the American Teenager. She has also guest starred on series such as Melrose Place, Baywatch, and Quantum Leap. The '90s are back! Pop has struck gold with this comedy throwing it back to stars of the '90s, but in a new twist. We got to watch five hilarious episodes (of the eight produced) of this comedy that is like Curb Your Enthusiasm with our fave family series stars: Christine Lakin, Jodie Sweetin and Beverley Mitchell. Obviously the three stars are friends in real life and grew up in the business and this series is a satirical look at their lives. 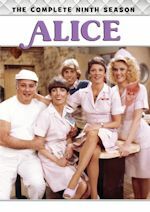 Famous faces from their lives make appearances, including cast members from their past shows like Andrea Barber, Patrick Duffy, Staci Keanan and Andrew Keegan. Did you know Andrew Keegan appeared on ALL three of their shows (Step by Step, Full House and 7th Heaven)? Is he the six degrees of separation for these girls? Possibly, as he was hilarious in the premiere episode. Of the episodes we got to watch, there are lot of funny moments. Christine Lakin shines as the funniest of the three with hilarious one-liners and facial expressions. Beverley Mitchell usually plays with Christine in a tag team comedy show in the episodes we have seen, while Jodie Sweetin gets to showcase her broad range with other players, like Andrea Barber's improv class kids and...Mr. Bear! Darlings takes a general storyline and improvs the heck out of it. If you are a fan of Curb, then this is going to be fun for you. 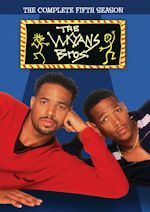 Besides the great guests from their past shows, you will also see their other friends from the business (more '90s stars, too) like: Tamera Mowry, Wanya Morris, Jaleel White, Heather & Nicholle Tom, Lance Bass, Lori Beth Denberg and Soleil Moon Frye. This comedy really shows us the range of these three former child stars. The '90s are certainly back in style with these three. It's just fun, exciting and even surprising to see what will happen on these episodes. Pop has had some comedy success already with series like Schitt's Creek and Nightcap, and now Hollywood Darlings will fit in perfectly on this network. Jodie and Christine were in family sitcoms with a studio audience, while Beverley was in a family drama...now they all come together in a new style of comedy that they are not known for and they totally hit a homerun here. They're the center of attention now and we are so glad. Watch out Larry David, there is a new throwback style Curb in town..and it is funny! Discuss the show after you watch it on Wednesday, April 12, 2017 at 8:00PM ET/PT on our message board. CMT announced Nashville will return for a new season with 16 episodes premiering early next year. In addition, the network revealed a midseason premiere date of Thursday, June 1 at 9 p.m. ET/PT for the back half of season five. Charles Esten (Deacon) first announced the renewal on Facebook Live on behalf of the entire cast. In the coming weeks, CMT will announce its complete 2017-2018 slate. Long-time SVOD partner Hulu will continue to stream episodes the day after they premiere on CMT. The devoted "Nashie" fan base has generated record-breaking numbers for CMT. Nashville ranks as the network's highest-rated and most-watched show in the network's history, averaging 2.1M weekly viewers (L+7). Over the course of the first-half of the season, the series notched nearly 16 million total viewers on CMT alone, and nearly 23 million on CMT and Nick at Nite. The news comes on the heels of strong growth for CMT. Original premieres are pacing up 51% among A 18-49 and 79% among W18-49 versus year ago. Total day ratings are up 19% with A 18-49 and 25% with W 18-49. As a result, CMT garnered the biggest year-over-year growth this quarter than any other top 50 channel on cable (excluding news nets). Rachel Bilson (The OC, Hart of Dixie) and Kaitlin Doubleday (Empire) will join the series in the second half of season five. In addition, fresh off the success of Big Little Lies, Jeff Nordling will recur in the role of Brad Maitland, an extremely successful, charming, egotistical, narcissistic owner of the most successful record label in Nashville. The midseason premiere picks up 10 weeks after the events that unfolded in the midseason finale. Deacon helps Daphne with a school project, but Daphne feels unmotivated. Juliette gives Maddie unsolicited advice about a song. Scarlett and Gunnar receive news about the baby. 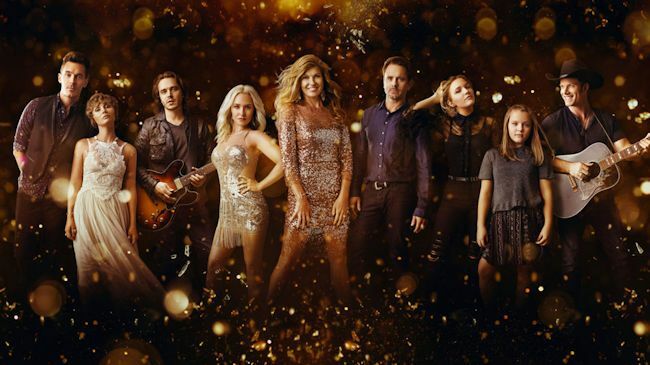 The series stars Hayden Panettiere as Juliette Barnes, Clare Bowen as Scarlett O'Connor, Chris Carmack as Will Lexington, Charles Esten as Deacon Claybourne, Jonathan Jackson as Avery Barkley, Sam Palladio as Gunnar Scott, Maisy Stella as Daphne Conrad and Lennon Stella as Maddie Conrad. In addition, this season features Joseph David-Jones as Clay, Rhiannon Giddens as Hallie Jordan and Cameron Scoggins as Zach Welles in recurring roles.